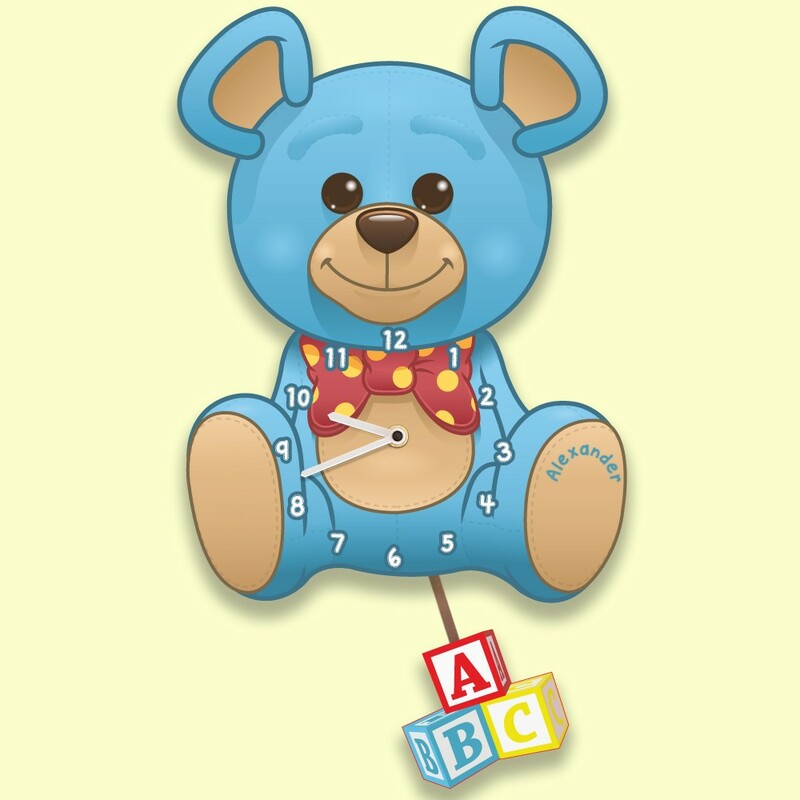 This delightful Teddy Bear wall clock is one of our bigger personalised pendulum clocks and his personality certainly matches his size. Your little boys Nursery Wall Clock is printed directly onto 3mm Opal Perspex which brings out the strong colours as well as making the clock light enough to ease any safety concerns about heavy bedroom accessories. 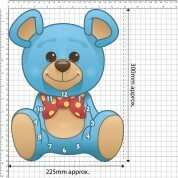 The clock is individually printed to order, has your child's name on the paw and is laser cut to the shape of the teddy bear. Your clock truly stands out from the crowd. The building blocks pendulum may be decorative but looks fantastic as it swings colourfully from side to side. 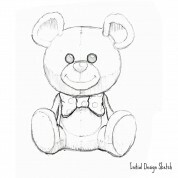 On closer inspection you will begin to appreciate some subtle attention to detail such as the "stitched" font used in your little boys name. The clock numbers also feature an embroidered look. A lot of design and thought goes into all our kids clocks and they all feature a silent movement. We only fit quality german quartz movements to ensure quality throughout. Your clock will arrive well protected in a bespoke designed box which will endure the rigours of shipping.